How to use the Autocorreation Function (ACF)? The Autocorrelation function is one of the widest used tools in timeseries analysis. It is used to determine stationarity and seasonality. This refers to whether the series is “going anywhere” over time. 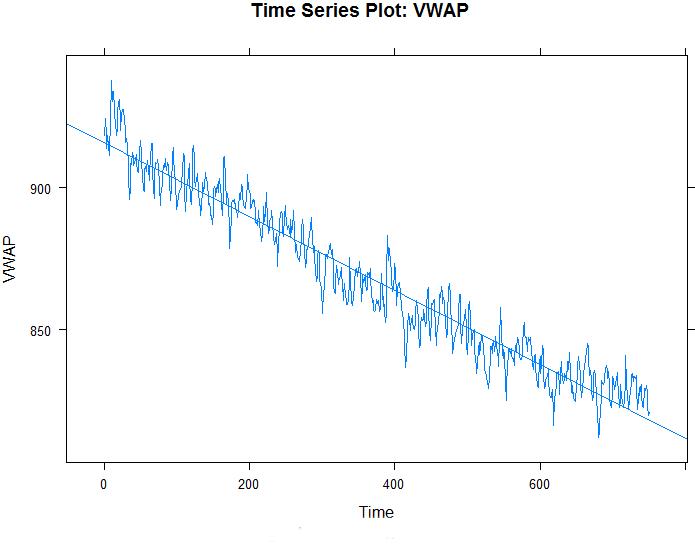 Stationary series have a constant value over time. Below is what a non-stationary series looks like. Note the changing mean. And below is what a stationary series looks like. This is the first difference of the above series, FYI. Note the constant mean (long term). The above time series provide strong indications of (non) stationary, but the ACF helps us ascertain this indication. The above ACF is “decaying”, or decreasing, very slowly, and remains well above the significance range (dotted blue lines). This is indicative of a non-stationary series. Note that the ACF shows exponential decay. This is indicative of a stationary series. 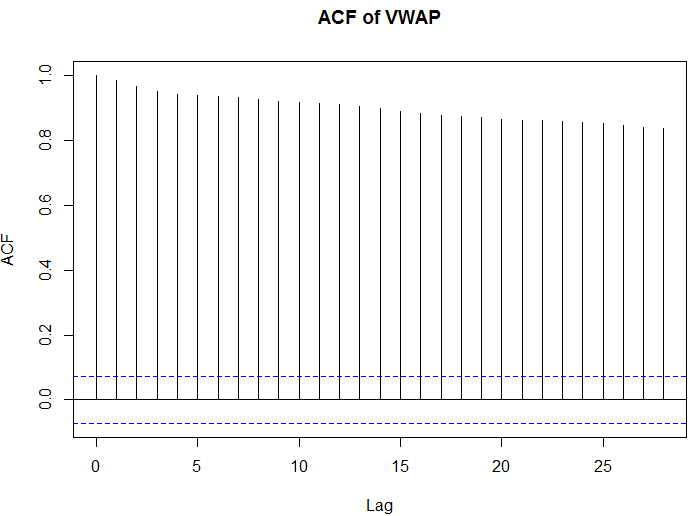 We do not expect the ACF to be above the significance range for lags 1, 2, … This is intuitively satisfactory, because the above process is purely random, and therefore whether you are looking at a lag of 1 or a lag of 20, the correlation should be theoretically zero, or at least insignificant. Thank you Abbas for simple and well explained topic. My question is in non-stationary data how can we find auto correlation? is partial auto correlation is a good alternative? Hi Bahaa, thanks for the kind words. An autocorrelation for a non-stationary series would look funny, kinda of like here: https://coolstatsblog.files.wordpress.com/2013/08/berlin2.jpeg. Are you trying to prove that the realizations/values are correlated? you’re talking about! Bookmarked. Please also talk over with my web site =). I agree, Rajesh. I think the best part about understanding something fully is that you can take control of the language around it, and therefore simplify it. Thanks for visiting! a slight correction needed: MA(1) process is Y(t)=u(t)+b*u(t-1). What you gave an example of above is a MA(0) process. Good spot, Pranjal! It has been corrected. Thanks. thanx sir, how can i get a pdf paper for this subject. Thanks for this clarifying post! The criteria for a stationary time series are (1) constant mean, (2) constant variance, (3) the covariance between today’s independent variable and tomorrow’s independent variable is not a function of time. In exactly what way does autocorrelation (correlation in the error terms) violate these three criteria? awesome explanation… Thank you sir….